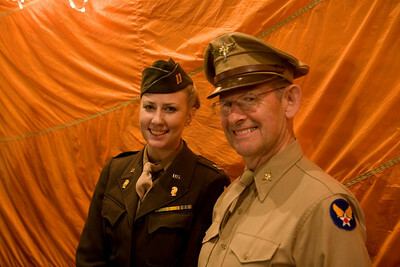 The CAF MN Wing held their fall hangar dance on Saturday the 19th. I went down early to help setup, and got to sit in the P-51! The dance was a huge hit, packing the hangar and spilling out onto the ramp. 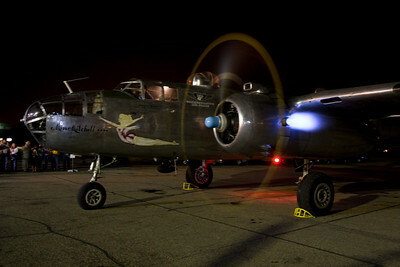 There were free swing dance lessons, music by the Roseville Big Band and the Minnesota State Fire Service Memorial Pipe Band, and the CAF topped off the night by running up the B-25 "Miss Mitchell's" twin 1,600hp Wright engines! 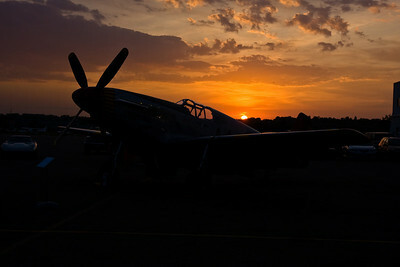 With the help of CAF member Gary Chambers I also set up some lights near the P-51C and we photographed groups and couples all night, raising money for the maintenance and upkeep of the wing's aircraft! For the full gallery from the ball you can click here. To see the gallery of shots from the photobooth and find yours, click here. 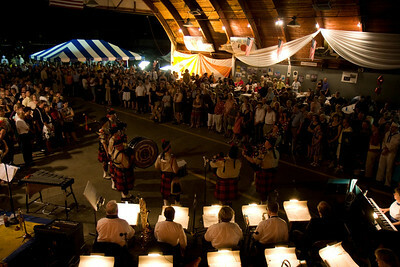 The Roseville Big Band and the pipe band perform a rousing rendition of "Amazing Grace" for a packed hangar. 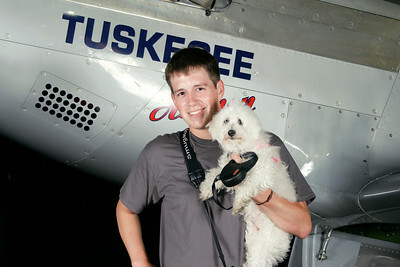 "Miss Mitchell" cranking both engines on the ramp. And last, but not least, your's truly, and my assistant Itty, test out the lighting for the photo booth!